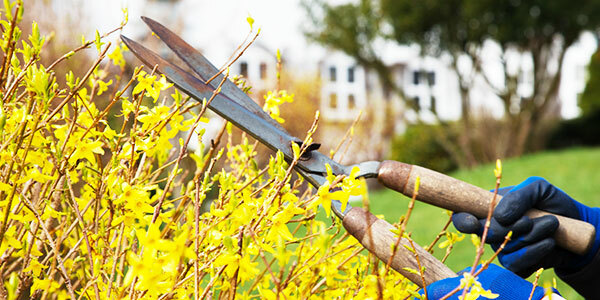 Milder days offer a prime opportunity for spring cleaning and home maintenance. After a long winter, be sure to spend some time on preventive measures that will help maintain your home and property all year long. From cleaning out your gutters and checking for dead trees and branches, to cleaning and inspecting your home mechanical systems such as your heating and air conditioning equipment, we offer ways to help make spring a season of safety. Check your electrical outlets for potential fire hazards, such as frayed wires or loose-fitting plugs. Make sure outlets, fuse boxes and extension cords are not overloaded. Move your multi-purpose fire extinguisher to an accessible place, and make sure it is filled and ready for operation. Remove dead trees in your yard.